At forty-one, Juanita Lewis is running away from home, courtesy of a one-way ticket to Montana, a place that seems about as far away from the violence and poverty of the Columbus, Ohio, projects as the moon. She wants adventure and excitement—if such things exist for a pre-menopausal African American woman with three grown, deadbeat children. Out here in this wide-open space, Juanita’s heart can no longer hide, especially when she sees herself through the eyes of the wonderful and eccentric people of this down-to-earth town. She’s happy in Paper Moon; she’s found a home, but can she stay? And then there’s Jess. She has always dreamed of romance, but she never planned on falling in love. Sheila Williams was born and raised in Columbus, Ohio. She attended Ohio Wesleyan University and is a graduate of the University of Louisville. 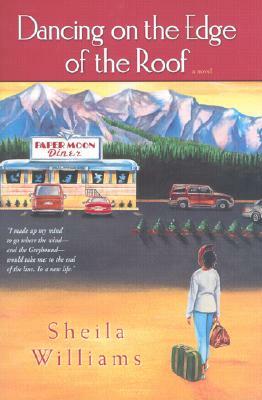 She has published four books, including Dancing on the Edge of the Roof. She lives with her family in Newport, Kentucky.